Graeme Gunn, Partner at SL Capital Partners, managers of Standard Life European Private Equity Trust (SLEPET) explains the fund of fund structure, where they are finding opportunities and why investors should consider private equity. Omar Negyal, manager of JPMorgan Global Emerging Markets Income Trust talks to the AIC about his income strategy for emerging markets, where he’s finding investment opportunities, why investors should consider emerging markets and his outlook for the sector. Mike Adams, CEO, Octopus Healthcare, Investment Manager of MedicX Fund talks more about the outlook for MedicX, where they are finding investment opportunities and why the fund is on a high premium. Mike Adams, CEO, Octopus Healthcare, Investment Manager of MedicX Fund on the outlook for MedicX. Mike Adams, CEO, Octopus Healthcare, Investment Manager of MedicX Fund talks more about why MedicX is popular with investors and its high premium. Mike Adams, CEO, Octopus Healthcare, Investment Manager of MedicX Fund discusses where they are finding investment opportunities. Mike Adams, CEO, Octopus Healthcare, Investment Manager of MedicX Fund talks in more detail about the fund. Podcast covering the income benefits of investment companies. Graeme Gunn, Partner, SL Capital Partners talks about Standard Life European Private Equity Trust. Graeme Gunn, Partner, SL Capital Partners explains Standard Life European Private Equity Trust’s investment approach. 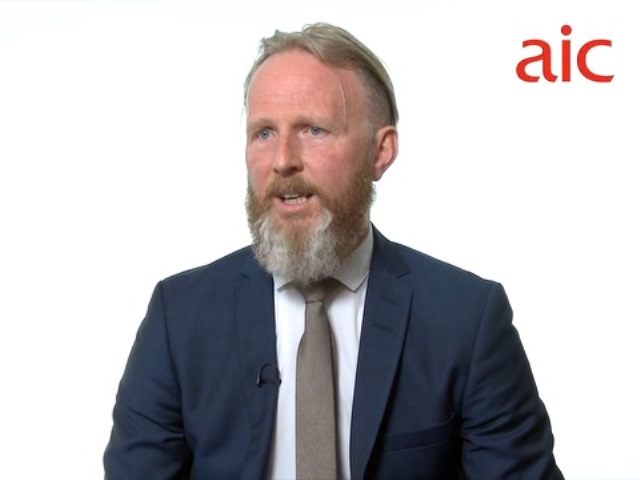 Graeme Gunn, Partner, SL Capital on the benefits of the fund of funds structure. Graeme Gunn, Partner, SL Capital discusses where they are finding investment opportunities. Graeme Gunn, Partner, SL Capital gives his thoughts on why investors should consider private equity. Matthew Rourke, Partner, HgCapital gives a brief overview of HgCapital. Matthew Rourke, Partner, HgCapital discusses the type of businesses they look to invest in. Matthew Rourke, Partner, HgCapital gives some examples of where they are finding investment opportunities. Roger Mountford, Chairman, HgCapital Trust explains the role of the independent board. Roger Mountford, Chairman, HgCapital Trust discusses why he feels investors should consider private equity at all times. An introduction to the private equity asset class, and to Pantheon International Plc, the longest established private equity fund-of-funds on the London Stock Exchange.